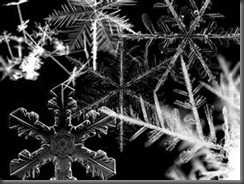 Randy Ingermanson put up a great guide for how to write a novel using what he calls the “snowflake” method. In his introduction, he mentions that the method won’t work for every writer. However, the method is sound. Take a few moments, hop over to his page, and read it real quick. I’ll keep my post short this week so you’re not overburdened with too many words on screen. I’m inclined to think that the method is more useful for beginning writers, as experienced writers tend to do much of the work instinctively. Still, even experienced writers can find themselves in a rut. This method can help them avoid falling into the same traps of repetitive characters and story conventions. The basic idea of the method is this: ideas for stories, the initial “what if” that drives fiction, is like a seed. The snowflake method is set up to plant that seed, to water it, to watch it grow, to prune it and trim it until it becomes a fully grown novel. Admittedly, I don’t take nearly this much time brainstorming my ideas before I begin my novel. But then, I do find myself bogged down in the middle, rethinking the direction I’m heading. On several occasions, I’ve had flat characters that only start to act like real people in the final chapters of the novel. Then, I go back and revise. Avoiding that pitfall sounds pretty good to me. As I work feverishly on the final chapters of the second book in my Hand of Adonai series, I wonder if I’ll find myself doing more planning work before setting out on book three. What process do you undertake in the writing of your novels or stories? How successful are they? What seems to work the best for you? Considering the fact that I have been writing, rewriting, and continuously tweaking my novel since I started it in my freshman year, this is a huge help to me. Sure, the Snowflake Method takes a bit of time, but it is waaaaaaay less than those gazillions of hours I normally invest trying to make Birth Through Death into a decently coherent and deep piece of fiction. Yes, it’s hard. But nothing worthwhile is easy. I am one of those people who spend a lot of time thinking about what to write for my story for quite a while. I tried to start using the snowflake method for my stories/novels and see if it works for me. I use to do something that was similar to the snowflake method and it was good but sometimes I still struggle about what to write. I find this method useful and not only to I get all my ideas down but I found myself developing newer ones on the way that I think would be perfect. When I try and write my stories it takes Me quite awhile to get a great idea to put on paper. Once I have that idea it takes me more time to figure out where my story is going to go. I feel as though the snowflake method is a good method to get a good story started. It takes less time than just writing a story off the top of your head. Ever since I can remember I’ve been always trying to perfect my characters and or story. Thinking and siting there for hours realizing that I may not even have the slightest clue as to where my story is headed. Now that I was introduced to the snowflake method (by Mr. Gansky), it all comes sooo much easier. and it is way more organizable. Hopefully using this method will open doorways to becoming a greater writer. it’s just a good feeling when after hours, even days, of trying to get out of a rut with a story that was goin into a dead end. 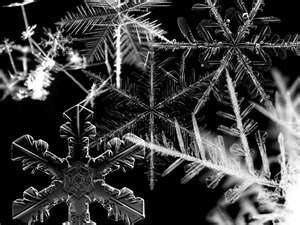 The snowflake method gives you a couple more ideas then just trying to think and think and think of every little thing. It just all falls into place for me. I usually have an idea pop into my head and write down a sentence or two that adequately describes what I am envisioning and then I’ll go back later and begin writing a story for it. So far I have found my method successful most of the time, but there are still the times where I am stuck in a rut. “I already wrote something like this.” “That isn’t good enough.” are the things I say to myself when stuck in those ruts.